The Hidden Gates of Damascus: Syrian "Devil Worshiper"?? It is time again to talk about a not-very-well-known minority in Syria. Izedism or Yezidism "يزيدية", is an ancient eastern religion that could be traced back to the old days of Sumerians and Babylonians in Iraq. Most of the followers of the faith live in Iraq, while a few thousands live in Syria and Turkey. The people who follow Izedism are called “Izedis”. I tried to find a definition for the word “Izedi” and almost all the sources defined them as “One of an Oriental religious sect which worships Satan or the Devil.” Also, most of the people who know about the existence of Izedis call them “Devil Worshipers”. This definition might be shocking to most of us. But what kind of rituals do they have that could prompt someone to call them such name? Izedis, like Christians and Muslims, are monotheists, meaning that they believe in One God. However, Izedism disagreement with the other monotheistic religions evolves around Lucifer. Lucifer to Christians and Muslim is a fallen angel who disobeyed God, and then he became the source of all evil, the Devil. On the other hand, Izedis believe that Lucifer had sinned and disobeyed God, but at the end he repented his sins and he returned to God as an angel. 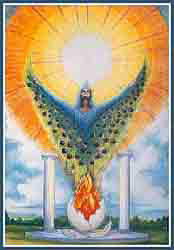 The worship of Izedis is centered on that Angel who they call “Melek Taus” or “Peacock Angel”. Their most sacred place, which is a burial place, is located in Lalish, Iraq. According to some sources, Izedis rever and are influenced by Prophet Mohammad, The Quran, and the Bible. 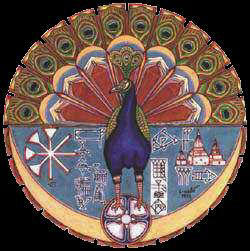 Nonetheless, the influence of Zoroastrianism "زرادشتية"is more apparent than the influence of any other religion. According to an article written by George Katn and published on Syriamirror.net, Izedis make up to 2% of the Iraqi population. That article also shed some light on the immense persecution Izedis have received through out history. In Syria, most Izedis live in Al-Jazira to the northeast of Syria, while a small number of them live in Aleppo city, in the northwest of Syria. Izedis are probably one of the most persecuted minorities in the Middle East through out history. It is not only that they have “strange” belief, but also because of the ethnic background of most Izedis, which is the Kurdish ethnicity. That makes them an ethnic minority and a religious one as well. Izedism is still a very secretive community, and there are many missing links about their history and faith. Their reverence of the Bible and the Quran could be a cover-up story, or it could be not precise, to say the least. Reconciliation with the majority, at the expense of ones rituals and history, is not a surprising thing for a minority to do. All minorities, at certain periods of their history, have somewhat adapted to the language and religion of the majority to decrease the level of persecution they had been receiving. Being openly different would risk their survival. I found this very interesting! And almost completely new to me! It's such an interesting article. Thank you for all the research you've done on that topic. Great topic, I always heard about it but thought of it as some sect of Islam! It has more info about this religion. Wow, I have to give it to you. You have one hell of a blog. I read all previous posts, and I congratulate you on deviating from the norm. Keep it up, I have added you to my links list. oh and I would love to meet one of those poeple in person to learn more about their beliefs, it sounds very interesting. Th'ats really very interesting.. I'm soo interested in religion and how it evolved, especially in our part of the world. Thanks for the great article. There are so many different and unusual religions in the world. Pretty cool blog so far. Keep it up! A very interesting post. Well written and informative. Keep up the great work. Hi! I wanted just to thank you for your comment on my blog ! I always thought that they were zoroastrian only. It's nice of you to attack common misconceptions. by the way, islam does not think of satan as a fallen angel but rather a Jinn. 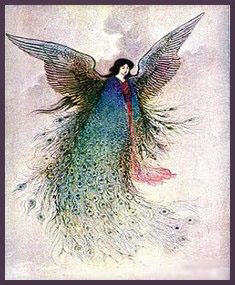 angels in islam can not but obey God, and therefore, can not go against his will and fall. Too many times people (Americans) forget that different cultures are interesting, exhilarating, informative, ancient, intelligent, and simply different.